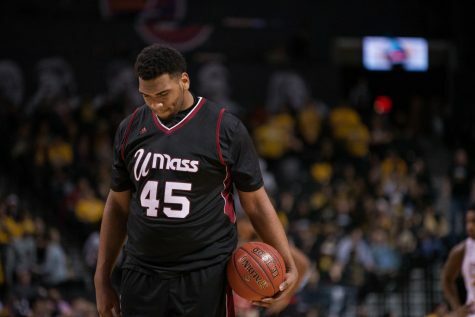 The Massachusetts men’s basketball team opens its regular season on Friday when it takes on Rider. 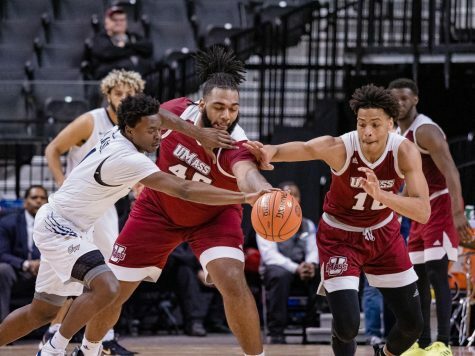 For UMass coach Derek Kellogg and the rest of the Minutemen, the home-opener is less about being concerned with Rider as it is about dealing with things on its own front. 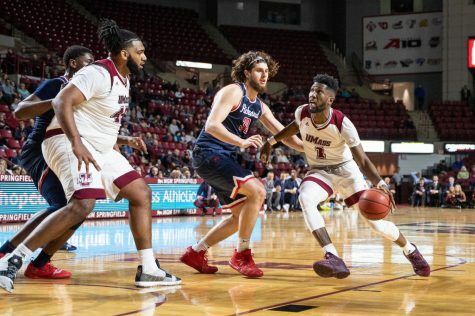 The last time the Minutemen took the court was in an exhibition game at the Mullins Center where the Maroon and White thrashed Division III opponent Brandeis, 83-60. 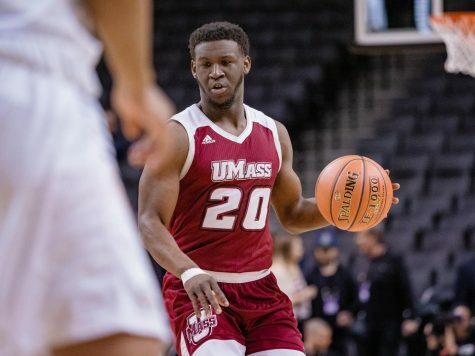 Guard Daryl Traynham put on an impressive performance, earning a team-high 15 points, just ahead of Anthony Gurley, who had 13 points and seven assists. 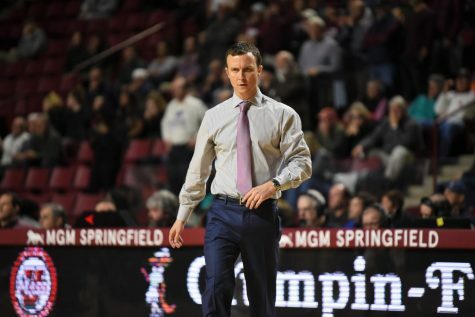 Even though the Minutemen had some successful scoring, Kellogg still witnessed a slew of bad shots being taken by the squad, which is something he wants changed as the season unfolds. One of the issues Kellogg saw in the game against the Judges was the slim margin in which the Minutemen out-rebounded Brandeis (35-31). Grabbing boards is just one of the things that Kellogg wants to fix this coming Friday night. “I want every dribble and every rebound to be contested,” Kellogg said. 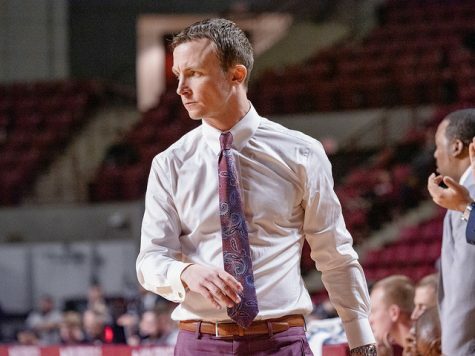 On the other side of things, the Broncs come to Amherst with an identical situation after trouncing The College of New Jersey, 80-42, in an exhibition game. 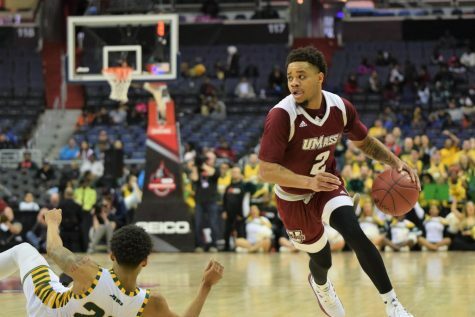 Junior Brandon Penn did a lot of the work for Rider, scoring 19 points in the affair. 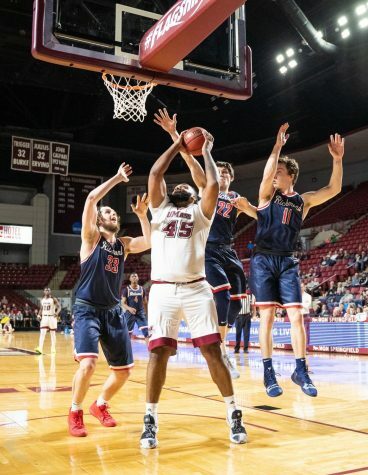 Along with senior Mike Ringgold (nine points, game-high 12 rebounds), Penn and the rest of the Broncs cruised to victory after a 14-0 third-quarter run over the Lions. 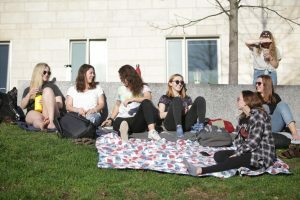 Though they’re focused on building up their own team, the Minutemen aren’t overlooking Rider as the game draws near. 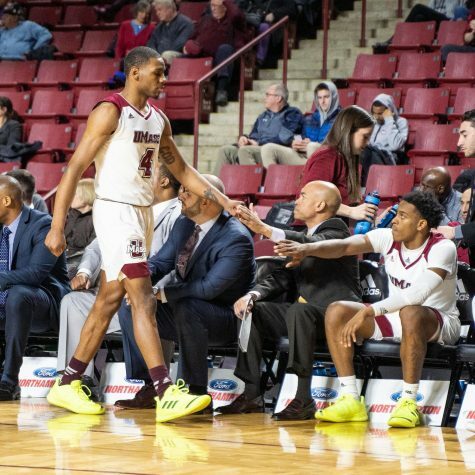 As for what Kellogg is looking for in the game against the Broncs is to see fans pour out into the Mullins Center and assist the Maroon and White in any way they can. 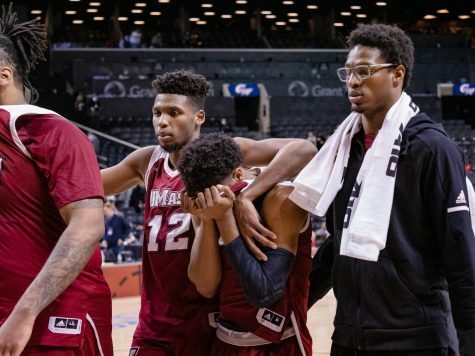 Last season, Rider displayed an impressive run through the Metro Atlantic Athletic Conference tournament, reaching the second-round game where it fell, 77-52, to Niagara.